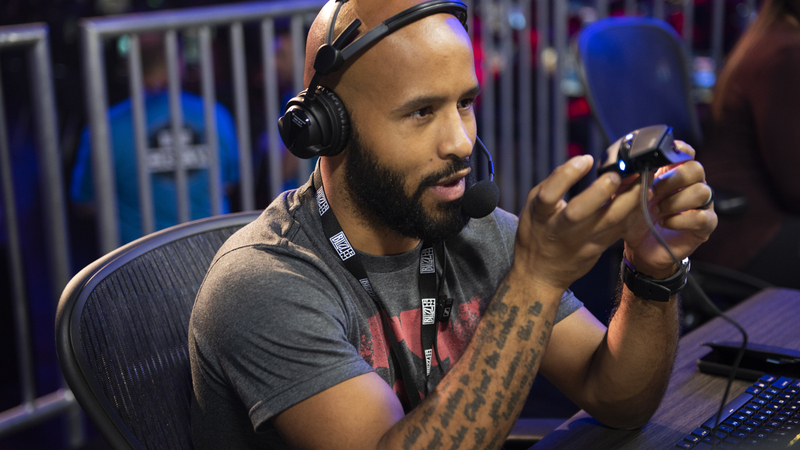 Demetrious Johnson is for the Horde. He’s married with two kids, a Rogue main whose favorite pastime is ganking the Alliance in War Mode. 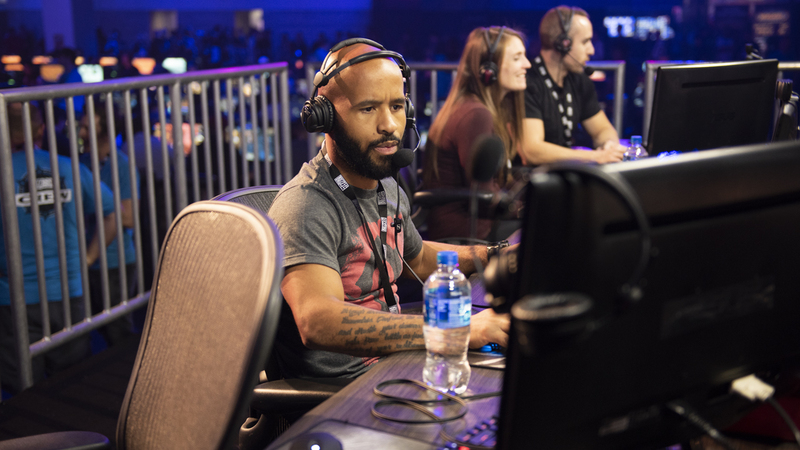 He’s also known as Mighty Mouse, the inaugural and former UFC Flyweight Champion, now signed to ONE Championship, the prominent Singapore-based MMA league. Of course, he also loves his ganking. “Being in Kul Tiras, or [when the Alliance are] in Zuldazar—I see a guy doing his thing and I’m like dahhh dah-dah dah dah,” he sings, imitating circus music, “and I go up and I’m like ‘Garrote! Rupture! Kidney Shot! Mutilate, mutilate! YEAH!’ and then they die and I’m like ‘YEAH, YOU CHOSE THE WRONG SIDE, PUNK! IN YOUR FACE!’ Then I leave—I vanish and go on my way,” he said, laughing. 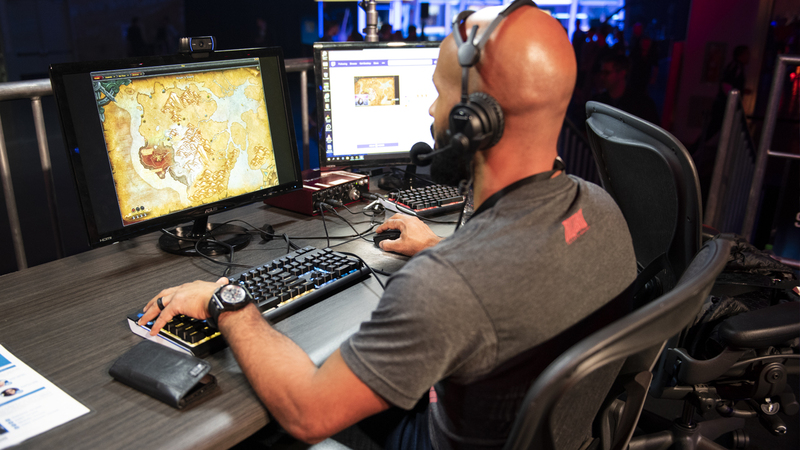 Keep your browsers locked to Twitch for day two of BlizzCon, which will kick off with the Mythic Dungeon Invitational All-Stars before the AWC lower bracket is completed, culminating in what is sure to be an epic grand final! 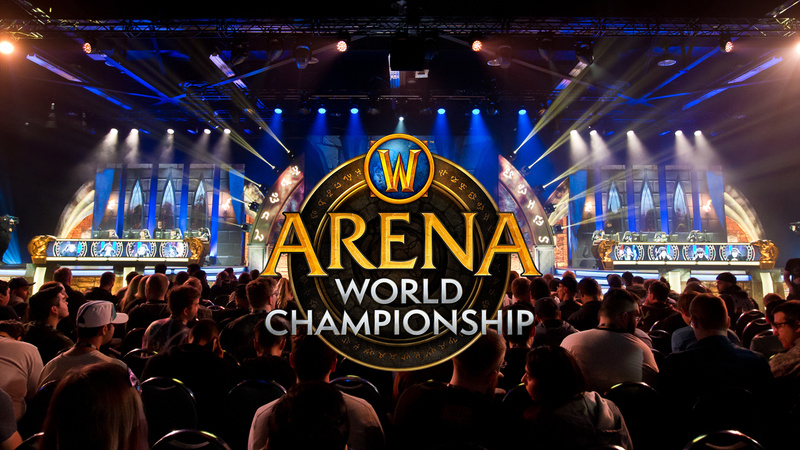 Stay abreast of the latest World of Warcraft esports content, scores, schedules, and more with the new Blizzard Esports Mobile App! Download it now for Android and iOS.